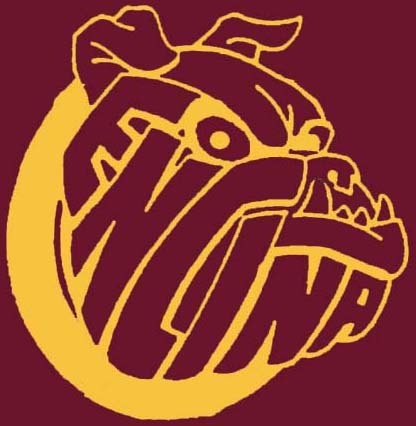 The Encina Class of 1976 Forty for $40 “No Regrets” Reunion. Yes, we have become the thing we ridiculed and thought we’d never become back in the day: Old…ish! Time flies and next year we’ll be celebrating our 40th year of flight from Encina. We are working out details on how you can participate in the conception, coordination, and execution, (or just RSVP with money for the party)- but in the meantime, please let everyone you know from the class of ’76 that it is going to “totally, very much” happen Saturday August 13th, 2016. We have a Facebook event page and will have more info by early October- so watch this space. It’s happening- so get out your Frampton, Steely Dan, Stevie Wonder, and Fleetwood Mac (Wings, The Tubes, Starline Vocal Band, The Eagles, Joe Walsh, Elton John, Grateful Dead, Rick Derringer, Robin Trower, Sanford Townsend Band, Dr. Hook and the Medicine Show, Cheech and Chong!) and start remembering what life was all about then. If you’re thinking you are too old to boogie…well 58 is the new 42. But, yeah, we’re too old to boogie – but we can always get down with our homies and such. CLASS OF ’76 35 YEAR (PLUS 1) REUNION PICNIC! William Pond Park, on the river, end of Arden Way. the American where the bike bridge is. A very casual free potluck/barbeque drop-by, come-as-you-are party beginning around 1 PM. If you don’t want to bring a dish, stop at Subway along the way. Those remotely interested, please start contacting your old alumni friends and see if they can make it. It’s that simple. Let’s build a buzz. Over the next month the date may be changed to another Saturday in August, but it will be in August this summer and it will be fun even if Dennis Peck and I and three other people are the only ones there. I’m Paul Stewart who helmed our 30th year reunion. Haven’t missed one yet, went to Sierra Oaks School and Jonas Salk, still lots of ‘76ers don’t remember me. Over the next week or so I will create a Facebook Events page and revamp the website I created for the 30th reunion before Facebook ruled the universe. If you don’t want to deal with Facebook, my Encina76 website will also have the basic info, updates, RSVPs and contact info etc. Ideas, suggestions welcome! It would be great if someone wants to be in charge of barbequing, organizing food, booze and soft drinks. But all anyone really has to do is RSVP, (or not) then stop at the Raley’s on the way (on Fair Oaks and Walnut) and buy some raw hamburger, chips and beverages or just show up and depend on the kindness of classmates who brought extra. I myself dropped by late and never RSVPed to four of the six reunions our class has had. It does cost five bucks per car to park inside William Pond Park, or you can park free on Arden and walk in. We can establish a fund for those who don’t have five bucks but still have a running car. A casual picnic is better than no reunion at all, other classes have had very successful picnics. Diehard ‘76ers or those busy during the day might want to meet for dinner/drinks somewhere nearby afterwards. Who knows maybe a group of us will meet the night before and go glow-bowling like we did in ‘’06. It’s all good. Has it been 230 years already since the Declaration of Independence? Time flies, no? Next month we all gather for our 30 year reunion. The reunion is totally happening, the space is booked, the food and drink will be phenomenal, and of course, the company supreme. If you want directions, menu information, see the RSVP list or general updates about the class of 76, please visit our website. We urge people who are planning to come to please help us take care of business now. make it until the last minute, but it is only $25. per person and $40. per couple. If you are coming to the reunion for sure or a maybe, please let us know ASAP. And please use this as an excuse to hunt down and contact old friends and try to get them to commit to come. Classmates are providing food, drink, and money for rental of the space on good faith that they will be reimbursed when all the accounting is done. Although it isn't a great amount of money because all of the labor is volunteer and we're allowed to bring in our own alcohol. However, the fact is the more money we have before the reunion and the more RSVPs, the easier it will be to get all the varieties of food and other beverages we want in the quantities we will need. So try your best. 2.) Send us money so we can reimburse those who are putting time, resources, and money into providing all of us with an environment conducive to an excellent reunion. The 1976 Class Directory lists contact information for your classmates. Please submit your contact information. At 60 years old Steve was taken from us in a senseless auto accident. He was raised in River Park, graduated from Encina High School and American River JC. He was an entrepreneur, starting with working in the family business, Cookies Drive-In. Then the fireplace industry, computer industry when he lived in San Jose. Finally, he semi-retired in Reno where he managed his rental properties and recently received his real-estate license. He is survived by his wife Fanny, children Stephanie and Herman, grandchildren Maddy and Michael, his Mom who thought he was perfect, brother Mike, sisters Linda and Kathy, and a multitude of nieces and nephews. He will be remembered for his famous goodie bags and donuts and will be missed by all. Sept 1, 1958 - Feb. 19, 2016. Steve Vigil, father of Steven and Kevin. Preceded in death by his sister Rose, and brother Tony. He is survived by his mother, Barbara. Bereth "Berry" Beard (née Wicks) died peacefully on December 26, 2015 in Corvallis, OR at the age of 57. Berry is survived by her husband, Rick, and her children, Tyler and Jennifer, of Newport Beach, CA; her mother, Iris Wicks, and her brother, Christian Wicks, of Sacramento, CA; and her sister, Judy Cadet, of Chico, CA; and many aunts, uncles, cousins, nephews and nieces. Her father, Christian Wicks, of Sacramento, CA, precedes her in death. Berry was born on May 20, 1958 in Sacramento, CA to Christian and Iris Wicks. She graduated from California State University in Chico, CA in 1980 with a degree in agriculture. She married Richard Beard, an organic chemist, in 1989. She gave birth to their son, Tyler, in 1990 and to their daughter, Jennifer, in 1993. Early in her career she worked at Antibodies, Inc., and then as a research associate at the University of California, Davis, and at Colorado State University, Fort Collins. After moving to Newport Beach, CA, Berry began working for Allergan. Berry made many scientific contributions in the areas of medical diagnostics, microbiology and clinical research, and her work is published in several scientific journals. Berry loved family reunions, traveling, her many pets, lunch with the girls, penguins, crows, cooking, canning, her homes in California and Oregon, and her favorite sports teams (SF Giants, SF 49ers, Anaheim Angels, Oregon and Anaheim Ducks). She strived to make everyone around her happier and a better person. She was cherished by her family and loved dearly by her many friends. She will be remembered for her beautiful smile and her positive nature. SinceGraduation: Spent 6 years in banking, 18 years in insurance/surety, managed a vegetarian restaurant and now working at the library and petsitting. Trivia: I enjoy ethnic food and music. Have had some great adventures living in Texas, Incline Village and Iowa. Raised a fantastic son. Have studied herbs and mycology. BestFriends: Pamela Rizzo and Fawn Hadley are still dear friends. Hobbies: Love Foreign Films, herbology, walking, making people laugh, enjoy family, gardening and reading. Kids: He's a wonderful guy- great cook, loves the 49rs, helpful, kind, funny. MemorableTeachers: Art teacher Mr Keys, ceramics teacher Eric, FFA Leader - Mr Brodnansky The librarians were super nice to me. FavoriteMemory: Being in art/ceramics classes. Summer School were s lot of fun. Jumping the fence and swimming in the pool during the summer. Working on newspaper. Working in the library. Stories: Well that could take quite a long time.... I do like telling stories. Comments: Still would like to be in the loop if our class has an event. Age 56. Sacramento resident. 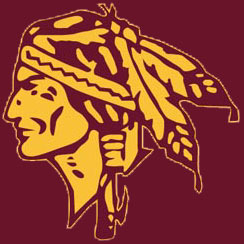 Graduate of Encina High School. 25-year employee of Pepsi Co. Preceded in death by his twin brother, Rich. Survived by his loving family: His parents, Art & Kay Van Drimmelen; sister, Shelley; son, Kevin Thwaits; and granddaughters, Mylee & Kenzee. Graveside services to be held at Fair Oaks District Cemetery on Wednesday, September 17, 2014, at 10 AM. Passed peacefully away on September 6, 2012, after a long battle with lung cancer at age 54. Survived by his loving parents Curtis S. Bates, Jr. and Patricia Bates, brother Kevin and sister-in-law Tracie. He was born in Sacramento on August 18, 1958 and educated in Sacramento schools. He also attended Lane CC in Oregon and College of San Mateo. He loved music and enjoyed fishing and was a talented potter who exhibited many of his works in Napa, CA. He was a good person with a good heart and his family will miss him forever. His funeral arrangements will be private. In lieu of flowers, remembrances may be made in his memory to Napa Valley Hospice, 414 South Jefferson St., Napa, CA 94559. Published in The Sacramento Bee on September 11, 2012. SinceGraduation: Just trying to survive. My first marriage was awful. I raised my son in Southern California. I worked at a print shop for nearly 20 years as typesetter/other pre-production work. My son joined the Marine Corps right out of high school and I met my current husband, Brent, shortly thereafter. After Brent and I married, we had a chance to move back to Sacramento. I was so happy to leave Southern California, aka LaLa Land. And its hot there all the time! BestFriends: I remember so many people. I hung out (hid) in the library with Joby Marchand. Played flute in the band, so sorry to see we lost Dave! I was good friends with Doreen Sugimoto. As friends I remember Craig DePolo, Steve Church, Joby and Doreen, Cari LaZansky, Judy Kriege. I've lost contact with everyone. Hobbies: My husband and I love to go on cruises for vacation and to travel. We do very well in Trivia contests. I used to scuba dive but have been sidelined since we moved north. Kids: My son, Matt, is 25 and a Sergeant in the Marine Corps. He served one year in Iraq. He was originally stationed in 29 Palms and has since transferred to New Orleans. He will be getting married this summer. He has had to work hard to overcome his childhood circumstances. I am very proud of him. He's a stand-up guy. MemorableTeachers: Mr. Schuler because he never patronized me. Mr. Huber for balancing tough with kind. I would not have gotten through Geometry without him. Mr. Lawrence liked my poetry for some reason. Mrs. Lindsey who gave me the typing foundation for which I have always made my living. Mrs. Leafe who taught me I didn't have to be invisible in a room of jocks and cheerleaders. FavoriteMemory: Senior year, sitting in the sun on the lawn, listening to Craig De Polo play Elton John on the radio, watching the drill team practice. SinceGraduation: I've worked for the state for 21 years, various state departments, (Calfornia Highway Patrol, Dept. of Justice, Dept. of Transportation, Dept. of Consumer Affairs), moving up from rank and file and finally spending the last 9 years of state service in management. However, now I'm medically disabled, I just found out in the summer of 2009 I have a brain tumor, which would explain the severe cluster headaches for the past 10 years, I also underwent 3 heart procedures in Oct 07 - Jan 08 and have extensive Coranary Heart Desease, and my entire lower spine is held together by metal plates and bolts. Military Experience: In May 1973, I enlisted in the US Navay Reserves "Delayed Entry Program," 3 days after graduating I went straight to BootCamp, needless to say, that was one hec of a summer. I was stationed for 4 1/2 years at Treasure Island, San Francisco with a unit called MIUW1920 (Mobile Inshore Undersea Warfare 1920), this unit trained with the Army, and Marines in front shore line defense, navagation, mountain/snow survival and hand to hand combat training, even though my main duty was that of a Yeoman, the remaining 1 1/2 years I transfered back to Sacramento and was attached to a unit called PMT2020. I was Honorable Discharged in 1982 and received the "Good Conduct Medal" during my time of service. BestFriends: Monti Pelligrini, Bruce Purcell, Rick Palmer (Track Team), Richard Montonya (since Jonas Salk 71-72). I have a few close best friends since Jonas Salk, Jeff Cook, Brad Luethy, Keith Champayne and his 57 Chevy, I can not remember them all but the times were great. And I agree with Lovejoy, my old high school girlfriend, let memories be as they were, in the past. I remember Carla Grant, I cried when I read she passed away. Hobbies: My children are my only recreation I have left in my life, now that I'm disabled, and that's all I need. I have never dated again since my divorce in 2003. Kids: I'm very proud of all my children, my oldest daughter Anya resides with me, she's a straight A student, ever since preschool she's received awards and continues to do so. My other 2 children, Daniel and Alia, are just as bright and getting bigger and better looking than their old man, where they got the brains for math, it wasn't from me. But I've always told them, beleive in the Truth, hold on to it deep in your heart, and fight for the truth at all times. 57 Chevy) went to Folsom Lake, it was a blast, I remember I was acting like a dog digging a hole to bury my beer cans so we wouldn't get cought. Stories: Mrs. McGuire was the best during my Freshman year, she was a huge influence in my life, I remember when during fund raising, she intrusting me with driving her Monte Carlo to pickup a few item's at the store. And Mr.
Barnanski in Small Animal Husbandtry, his great sense of humor, and I remember my Freshman year when I went on a camping trip in 1973, I fell madly in love with a older girl named Mary Bays, but she broke my heart, she was a older class mate, but I still had fun, and I remember on that trip back from Forest Hill, another friend and I untied the haltertop of Susan Zimmerman, should of seen the look on Mr. Barnansskis face, let alone hers :O). Comments: It break my heart to hear that my former classmates has passed on, and in time I know it will be my turn, but we will all be together again, and we can rejoice and be free once again. In 1978, a brother and sister from Sacramento vanished in Greece. Their mother never lost hope -- until their remains were found. For years, Fran Granroth Skalisky always thought her son and daughter were the victims of some kind of international intrigue. And with just the right urging, someone would send them safely home to Sacramento. They couldn't have just simply drowned in Greece on that late summer day in 1978, she reasoned to herself. "I never stopped searching," said Granroth Skalisky, 74. The remains of her son, 21-year-old Mark Granroth, and her 20-year-old daughter, Jan Granroth, found in an underwater cave in October, have been positively identified, Granroth Skalisky said Friday. The brother and sister had disappeared while the two were diving recreationally along with an Air Force sergeant on Sept. 9, 1978, in Vouliagmeni Lake near Athens. Jan Granroth had graduated from Encina High School, and her brother attended Rio Americano High School. "It's a story, but it's a very sad story," said their mother. "In one way, it is a relief that we know they are gone. In another way, it's opened a terrible wound that we had put behind us." Granroth Skalisky, who now lives in Sebeka, Minn., said she will bury her two children at a funeral there on Aug. 4. They are also survived by their brother, Jim, a painting contractor who lives in Sacramento. Jim Granroth was 16 when his two older siblings disappeared. "It's hard to reopen all these wounds," he said. And there were plenty to go around. "I kind of had to raise myself from then on," the youngest brother said. Now 45, Jim Granroth said he can identify with the pain his parents were forced to endure. "I have two children and I couldn't even imagine having nothing left of them, not even a body," he said. Their father, Russell, who made two trips to Greece to search for his children, died in 1992. His ashes are at a Fair Oaks cemetery, along with memorial plaques of the children he could never find, the ones he always said were "missing." Jim Granroth remembered his sister, an Air Force airman, as outgoing and athletic. She chose the military to give her life direction. She was her platoon leader during her basic training. Mark Granroth, who worked in the family paint-contracting business, was also an avid athlete. He bicycled the Hawaiian islands and went backpacking, said Jim Granroth. Jan Granroth was stationed at Hellenikon and had been diving for two years, her mother said. Mark Granroth, also a certified diver, was 16 months older than his sister and always a close companion. He had flown to Greece to join his sister for a trek together across Europe, Granroth Skalisky said. "They were going to have a wonderful vacation," she said. She and her late husband were told that the three, including Air Force Sgt. Donald Michaud, 32, of Maine, had been exploring caves when they disappeared. Michaud was a diving instructor and often accompanied Jan Granroth. Rescuers searched the lake caves for nearly two weeks. When they abandoned the search, Granroth Skalisky took up hers. She wrote every president who moved into the White House, starting with Jimmy Carter. Because the divers had no lights with them, she said, she couldn't believe they were cave-diving. Political unrest might have endangered Americans abroad, she thought. Granroth Skalisky married again in 1997 and moved to the town of about 700 residents, three hours outside Minneapolis. The ensuing years have not been without cruel twists and turns. An underwater photographer died on a dive to find the three missing bodies in 1990. Jim Granroth said he was told that photos of skeletal remains were recovered, but neither the military nor Greek authorities would pursue the discovery. The family's insistence on answers led to deteriorating relations with the military, he said. "We just sent letter on top of letter to the military. It got bad," Jim Granroth said. Greek divers searching for the body of the missing photographer found the remains of the Granroths and Michaud in October. Official identification by Greek authorities, and then the U.S. military, came in June. "There's still many, many unanswered questions," said Granroth Skalisky. "What actually happened? I may never know." Michaud was buried in Biddeford, Maine, on Friday. On July 31, Jim Granroth will fly to Dover, Del. There, he'll meet two caskets and he'll take them to Minnesota, a little brother once again. Born January 28, 1958 in Sacramento, Tag passed away peacefully on February 1, 2007, after suffering a stroke. He will be missed forever by Barbara, his beloved wife of 29 years; his two sons, Douglas Alexander and Paul Robert; his loving mother, Ellen Gebhart, and other family members. He was preceded in death by his father, Lee Willard Gebhart. Tag graduated from Encina High School and attended UC Davis. He worked 30 years in the Sacramento area construction industry as an estimator and project manager. At his passing, he was a partner in P.B.M. Construction of Roseville. Tag was proud of his contribution to many building projects in the region. A versatile person with many talents and interests, he was most passionate about furniture building for family and friends, and deep sea fishing with Barbara, his sons and his many fishing buddies. A private service and interment has been held. Friends of Tag and his family are cordially invited to share in a celebration of his life on Saturday, February 10th, 11:00 am at Fair Oaks Community Clubhouse, 7997 California Ave., Fair Oaks. In lieu of flowers charitable donations may be made to the Sacramento Children's Home in Tag's memory. My dear brother, David Jahnsen, class of '76, passed away of cancer Monday morning, January 27, 2007. He lived unselfishly, and dedicated his life to his 3 young boys. His kind, loving spirit shown through even 'till the end. Here is a photo memorial. Krista Jahnsen 79. Dave's Memorial will be on Sunday, Feb 11th at 3:30pm. It will be a celebration of Dave's life by and for all of his friends. There are many people coming from "back in the day". Bill Baumgart and Rick Elias will be sharing and singing as well. Please pass this information on to anyone you think would like to know about Dave's passing and memorial service. Thanks for sharing this picture...It is wonderful to hear what a blessed life Dave had ...His family was/is truly blessed to have the great times to remember ...I remember the last time I saw Dave...His brother Mark, Debbie Ames and myself, (Debe Neukam Brown) went to the Sambo's that was on Arden way ...it was at the end of high school days if I remember correctly...We all ordered pancakes and Miarks came with a hair on it...well with out going into great details.....we all laughed for a great deal of time over all the jokes we came up with....I am so sorry fofor his families loss...and overjoyed to hear he is home with the Lord Jesus ...... Debe Neukam 76 I am so sad to hear of Dave’s death and thought that it might be a special tribute to Dave to relate some of our favorite memories of time spent with him. Dave and I were in Madrigals together 1975-76. I have many memories of our year, but there is one that I would like to share. Dave’s mode of transportation was unique. He rode a unicycle, and he was very adept on his wheel. He also worked at Marie Calendars that year. One evening there was a Madrigal party at my home with visiting Madrigals from Ramona. (Mr. Carey’s brother taught choral music at the high school in Ramona and we traded visits during our tours.) Dave had to work part of the evening, but told me that he’d be over after work. I remember when he knocked on our door and when I answered it he was standing there with 6 pies stacked up in front of him. I asked him how he’d gotten to my house with all of those pies and he gave me “duh” look and tipped his head at his unicycle leaning up against the house! It was an incredible visual image of Dave on his cycle with 6 pies in front of him riding from Arden Way to my house near El Camino & Bell! What a guy! I am grieved that his family has lost such a treasure. I pray that they and we, will be comforted with many wonderful memories! Thanks, Vivian, for sharing that story. That fits so well with my sense of who Dave was. However, unlike Vivian, I can't remember anything specific about Dave. All I remember is what a great guy he was. So friendly, warm, kind, funny ... what a charming and charismatic person. When I read that Dave Jahnsen had died, I had a flash of that face of his and thought, "That Dave? Could that person who I remember as such a sweet soul be the person who is gone so young?" Dave's smile and unique ... Daveness made a lasting impression on me; I am a better person for having known him, and my memories of high school are more precious. Thank you, Dave, if you're reading this. I celebrate your life, your goodness, and the gifts you might not even have known that you gave. My condolences to all who loved him and knew him. He was such a nice guy. David was born in Sacramento, CA. He was predeceased by his mother Sue Ann Jahnsen. He graduated from Encina High School and joined the Marine Corps Band, where he played for Bob Hope, President Carter, and in the Rose Parade. He also learned to fly while at El Toro. David became a recording engineer whose notable works included "Butterfly Kisses" & the soundtrack for "That Thing You Do!" He worked with artists including Bill Baumgart, Bob Carlisle, Rick Elias, and 4Him and won several Promax Awards. His most recent work was in television for ABC. David loved to joke, to laugh and to make others happy, but he loved his children most of all. He was a cherised father, son, brother, uncle, nephew, husband, coworker, and friend. He is survived by his father and stepmother, Don and Annette Jahnsen; brothers Mark and Steven Jahnsen; sister Krista Bodily; stepbrother Michael Totaro; stepsister Deborah Totaro; half-sister Nicole Bauer; wife Beth Jahnsen, and his dear children Miles, Devin, and Cole. A viewing will be held at Forest Lawn Covina Hills on Sunday, Feb. 11, from 10:00 AM-2:00 PM, (800) 204-3131. After the viewing, a celebration of David's life will be held beginning at 3:30PM at The Loft, 5225 W. San Fernando in Los Angeles, CA. Memorial donations may be made to City of Hope or Lance Armstrong Foundation. Published in the Sacramento Bee on 2/7/2007. Passed away unexpectedly in her sleep on June 28, 2006 at the young age of 48. Preceded in death by her father, Roger. Survived by her mother Cathy Whitney, her brother Paul (Gayla) Whitney, sister Sue (Rick) Sander, her beloved sons Matthew and Walter and their father Kevin Kuhn, her niece Natasha Whitney, longtime family friend Linda Killick, and companion Phil Hildenbrand. A teacher at the Discovery Tree School on I Street, Julie was loved by kids and parents alike. She was playful with a wonderful laugh, a warm smile and a responsible mind. In addition to caring for children, she was also a professional mentor to new teachers. Born on June 17, 1958 in Sacramento, Julie graduated from Encina High School in 1976 and eventually relocated to the Santa Cruz area where she and her husband raised their family. Her interest in children and their well-being led her to earn her AA degree in Early Childhood Education. At the time of her death she was pursuing her Bachelor's Degree. In 2001, Julie returned to Sacramento to be closer to her family and friends. Her love of singing drew her to the Unitarian Universalist Society Choir, where she sang joyously alongside her mother and Linda. Julie was also a member of the Karma Addicts, her extended musical family on the Georgetown Divide, who include childhood friend Kim Culver Taylor and husband Mike, Phil Hildenbrand, Drew and Monica Woodall, Kieran Martin, Katherine Mason, Michelle Taylor, Andrew Taylor, Emily and Asha Woodall. Recently, eight of the Karmas traveled to the island of Hawaii for a week camping at a jungle retreat. It was an experience that they now cherish for the time and camaraderie they got to share with Julie. Julie loved a good game of scrabble, rain on rooftops, dictionaries, yoga, Alejandro Escovedo and Patty Griffin songs. She had style and taste in the most understated way. We will all miss her thoughtful nature, her hugs, and her Stan Laurel smile. A memorial service to celebrate Julie's life will be held at Saturday, July 8th ,at 1:00pm at the Unitarian Universalist Society, 2425 Sierra Blvd, Sacramento. Donations may be given to the Unitarian Universalist Society of Sacramento (UUSS) for a Garden Memorial for Julie. Age 47 of Davis, died unexpectedly on January 11, 2006. Born in Millington, Tennessee, Karla grew up in Sacramento and attended Encina High School and UC Davis. For more than 20 years, she was involved in social work, helping children and adults living with disabilities, mental illness, emotional disturbances and dual diagnoses. Karla received a bachelor's degree and her Master of Social Work degree from California State University, Sacramento, and was a member of the Phi Alpha National Social Work Honor Society. Karla moved to Davis in 1997, where she continued her primary work as a violence prevention consultant, and as a behavior analyst for emotionally disturbed children and adolescents. At the age of 12, Karla began training in the martial arts. She held a seventh-degree Black Belt in Kenpo Karate and a third-degree Black Belt in Kosho-Shorei Karate. She was ranked internationally and was a nominee to the Martial Arts Hall of Fame. In the 1970s Karla pioneered her violence prevention education programs in tandem with her unique style of self-defense instruction. She taught her curriculum at UC Davis for more than 19 years. Thousands of students enrolled in her classes, and she was routinely stopped in public by former students who told her that she had changed their lives. She was an advisor to sexual assault coalition teams, universities, crisis centers and law enforcement. Karla was a published author. She had been featured on TV news programs and in various publications. She was a champion for the rights, dignity, and safety of women and children. K.arla will be remembered for her quick wit and sense of humor, her compassion and nonjudgment, and her willingness to help others. She enjoyed music, cooking, kayaking, weapons, rock and mineral collecting, discussing world religions and metaphysics. Most of all she cherished her time working with children and found that very rewarding. Karla was preceded in death by her mother, Jean Grant. She is survived by her life partner, Lynn Peters; stepdaughter Marina Sterner of Davis; sister Karen Grant of Sacramento; sister Kris Hannan and her husband Tom of Durham, North Carolina; sister Kym Fischer and her husband Dan of Grant's Pass, Oregon; and a brother, Kurt. A memorial service and reception will be held at 3:00 PM on Thursday, January 19, at the Unitarian Universalist Church of Davis, 27074 Patwin Road. 1n lieu of flowers, contributions may he made to the Karla Grant Memorial Fund, c/o The Sacramento Region Community Foundation, 555 Capitol Mall, Suite 550, Sacramento CA 95814. The fund will be used to continue violence prevention education and programs that support the interests of children. Those who wish to sign a guest book may do so at www.davisfuneral.com. Published in the Sacramento Bee on 1/14/2006. hurricane Katrina and Rita members. Trivia: I am a private investigator in the state of California. MTV NETWORKS ANNOUNCES ACQUISITION OF NEOPETS, INC.
New York, NY (June 20, 2005) -- MTV Networks, a unit of Viacom International (NYSE: VIA and VIA.B), has acquired NeoPets, Inc. the owner and operator of Neopets.com, the world's largest and fastest growing youth community on the Internet. The announcement was made today by Herb Scannell, Vice Chairman, MTV Networks and President, Nickelodeon Networks. Neopets(r) is a global online entertainment network whose members create and care for "virtual pets" that inhabit a mythical land called "Neopia(r)." To date, more than 25 million members worldwide have created Neopets accounts in ten different languages, generating more than five billion pageviews per month. Both Nielsen//NetRatings and comScore Media Metrix consistently rank Neopets.com as one of the top-10 "stickiest" sites on the Web. "NeoPets is a smart, creative and innovative company that with Doug Dohring's leadership has become one of the most popular and fastest growing sites on the Web. NeoPets users are passionate about the site and its unique offerings, and that is exactly the kind of connection with audiences that MTV Networks cultivates and values," said Judy McGrath, Chairman and CEO, MTV Networks. "This property is a perfect fit for MTV Networks, and its acquisition is an important move for us as we aggressively move forward as a multi-platform entertainment company, dedicated to serving our audiences across all the platforms that they use and love." NeoPets Chairman and CEO Doug C. Dohring, as well as the NeoPets senior management team, will continue in their roles following the completion of the acquisition, and will manage the company from its base in Glendale, CA. Mr. Dohring will report into Jeffrey Dunn, President, Nickelodeon Film and Enterprises. "Since early 2000, when we founded the company, I felt that we could create a strong connection between the youth of the world and our NeoPets-created characters and storylines, which we would ultimately extend into television, movies, merchandise, publishing and other offline vehicles in a very significant way," said Mr. Dohring. "While we have already made great strides in this direction over the past five years, MTV Networks, with their extraordinary success and experience in all of these areas, makes an ideal partner to accelerate this process and fully realize our original vision for the Neopets brand. Added Jeffrey Dunn, President, Nickelodeon Film and Enterprises: "Doug Dohring and his team have done an amazing job of building a truly unique global entertainment brand conceived exclusively for the multimedia generation. NeoPets will be a terrific fit within our Enterprises businesses because it brings an emerging consumer products business, and the potential for feature film animation. With over 50 original and highly appealing characters, there is tremendous opportunity for creative innovation moving forward." The privately owned NeoPets, Inc., a global media and entertainment company, owns and operates Neopets.com, one of the world's leading online youth communities. Neopets.com, consistently ranked among the top-10 "stickiest" sites on the Web by Nielsen//NetRatings and comScore Media Metrix, has registered over 25 million members since its inception and generates more than five billion pageviews per month worldwide. The company is headquartered in Glendale, California. husband Chris, coaching at Cottage Pool. We have been married for 25 years and lived in some of the most beautiful places in California. The mountains, Truckee, the coast, Sebastopol, and the foothills, Placerville.We moved back to Sacramento 19 years ago, jobs brought us back and the wonderful lifestyle and communities keep us here. We have three children, Lucas 22, Jessica 19, and Troy 16. I went back to college and graduated with a degree in interior design. I worked for a local design firm for 2 years and now I am on my own. My speciality is custom sewing, although I have been working with Maureen Masters on a few painting jobs. We are kind of like "Lucy and Ethel" but we do great work! I am still not sure what I want to be when I grow up. dollars for research and treatment! Hobbies: gardening, interior design, sewing, music and reading. swimming, walking. We spend lots of time at swim meets and water polo games so these have become hobbies for us too. Kids: Lucas 22 is in college (taking the scenic route) major: graphic art. He swam and played water polo and now coaches a US group for Arden Hills Swimming. He loves anything that involves a "board". Currently he is restoring a '63 VW Bug. Jessica 19, finishing up at ARC (the direct route) and will transfer to a UC next fall.Her major is Art History. She plays water polo and swims. Also coaches swimming for the recreation team at Arden Hills. Troy 16, a junior at Rio Americano. He is a good student and a great swimmer. He wants to swim for a UC and go to the olympics. He loves music and plays guitar. His hair changes color and style quite often, He is our character! Memorable_teachers: Mr. Dahlin, I loved ceramics and his room, it felt free. Mr. Coke, because he cared.Mr. Huber, because he was interested in my swimming.Mr. Marelich, he always encouraged me.Mr. Welch, for giving me a second chance. rewarding. I met some great people, some of who have become good friends in my adult life. Bio: i have done what most everyone does, get married, have kids and work. i have worked in the day care business for about 25 years. i own and operate my own day care in my home in Albuquerque, New Mexico. Friends: Nancy Crowder, Maxine Baker,Melanie Johnson, Margaret Lyle, Tammy Savoca,Lisa West, i have lost contact with Debbie Malloy,Melanie Johnson, Tammy Savoca,Lisa West does anyone know where they are? expecting our 3rd grand child next spring. (2005). was a blast!! Mr. Stallings, he was a great teacher. i just really liked him a lot. Favorite_memory: Bible Study Groups at lunch. Occupation: I have worked for the San Juan Unified School District for over 25 years in various secretarial positions. Trivia: I have been married for 25 years. Friends: Cindy Leonard McKenzie, Linda Souza, Linda Grassi (I have seen a few times in passing). Hobbies: My hobbies right now are my children. Nicole will graduate from Rio Americano in June and Rebekah plays junior varisty basketball for El Camino High School. My son, David is in the Marine Corp stationed in England and will be getting married there in November. Kids: We have three children: David (23), Nicole (17) and Rebekah (15). Junior_high_friends: Cindy Leonard McKenzie, Linda Souza, Linda Grassi. Memorable_teachers: Carol Johnson - Business teacher, Tom Wilde, Ms. McKenzie. sisters Debi Wurdack and Cindi Connell, her loving niece Katie and nephew Joe, her life-long best friend Melanie, and her many loving cousins, aunts and in-laws.A Celebration of Life memorial service will be held at the Club at Natomas Park on July 9th from 11a.m. to 1p.m. Donations suggested in her name to the Sacramento Zoo or Natomas Park Elementary School. Published in the Sacramento Bee from 7/2/2004 - 7/4/2004. Worked 13 years for a major oil company as an offshore oil platform operator. Retired early, and currently working as a personal trainer in Santa Barbara. Trivia: I recently finished an outrigger canoe World Championship race from Molokai to Oahu (42 miles, we placed 15/67!). In 1985 I won the Miss Santa Barbara and Miss Pacific Coast awards for bodybuilding. I then went on to do the nationals but couldn't compete with the steroid queens! Hobbies: Outrigger canoe racing, windsurfing, skiing, anything aquatic! Favorite teachers: Mrs. Kojima, Mr. Summers, Mrs. McClelland. Bio: I graduated from UC Santa Cruz in '81 with a degree in Environmental Planning. After a couple of years with the State Parks Dept., I changed careers and went to work for Hewlett Packard in Roseville. I've been there ever since. I've been married to Lisa for about fifteen years, and have two children-- Matt and Emily. I live in Arden Park in a home we just remodeled. Trivia: I was part of the group that put together the 20 (actually 21) year reunion for the class of '76. Although I never thought I'd do something like that, our group realized that if we didn't put the reunion together, no one would! It was a great experience, although I think I'll let someone else do 25! Friends: My best friends were: Brett Stover, Jeff Stone, Mike Hair, Dave Wolfe (class of '75) and Andrea Mandell (Kraus). I"m still in touch with all of them. I've lost contact with my favorite teacher, Kent Summers. Hobbies: I love to travel, this past year I went to Costa Rica, England, Germany and Holland. I also enjoy skiing, working on my house, and doing things with my family. Kids: I have two kids--the oldest is my stepdaughter Emily. She is 18 and attending American River. The other is my son Matt, who is in eighth grade at Arden Middle School. Favorite teachers: Kent Summers, Orlin Schuler, Dan Ash, Bill Derderian (who I served on a jury with about five years ago). Occupation: Managing Director Long Beach Playhouse/Theatre Instructor. Bio: Undergad at UC Davis in Theatre. One year at DePaul University in Graduate Directing Program - left and went to University of Washington. MFA in Directing 1985. NEH Fellow at University of Milwaukee Center for 20th Century Studies. Founded several theatre companies, taught at UC Irvine, Cal State Long Beach, Cal Poly Pomona, several community colleges in Southern California. Married. Friends: Tim Bond, Bill Bain, Julie Scott, Charles Tyrone (still in contact with them all). Lost contact with Leslie Heidig, Scott Brownell, Tom Carter. Kids: Step daughter is in the marching band at UCLA. Plays hot trumpet. Grade school friends: Bill Bain, Mike Mays, Bill Hyman. Junior high friends: Bill Bain, Mike Mays, Bill Hyman, Allan Bee, Bonnie Leslie, Julie Scott, Charles Tyrone. Favorite teachers: Figenshu, Huber, Sanders, Dan Barber, Leslie Saladen. Alumni in contact: Tim Bond, Charles Tyrone, Julie Scott, Bill Bain, Brett Stover. Heard about website from: Email from a friend. Occupation: Customer Service rep. for Bear Creek Corp.
Bio: I married my husband Gary in December 1977. He was in the U. S. Coast Guard, which gave us the opportunity to travel and live in some wonderful places. After we were married, we moved to Yorktown, VA. What a beautiful place that is, and it was there that we discovered an interest in American History. We moved from there back to Sacramento for a short 8 month stay, and then we were off to Key West, FL for 2 years. Living on a tropical island was exciting for the first few months, but when we spent Christmas day on the beach, we decided maybe it wasn't for us. From there we moved to Eureka, CA., where our oldest daughter Laura was born, and we enjoyed the variety of outdoor recreation that area offers. Our next move was to Novato, CA., which is in Marin County. That is where our youngest daughter Stephanie was born, The girls and I lived for a short time in Sacramento while Gary did his stint at isolated duty on a small island in Italy. Then we were off to Manahawkin, NJ. Manahawkin is a small resort community in southern New Jersey. The thing we enjoyed most about this area was the opportunity to visit places like Washington DC, New York City, Philadelphia and all of the great historical sites around that area. From there it was back for yet another short stay in Sacramento after which we returned to Novato for our last three year tour of duty. Gary retired from the Coast Guard in 1996 after 20 years. We have now settled in beautiful Ashland, Oregon. Our daughter Laura is a senior in High School and Stephanie is a freshman. Being a Coast Guard family allowed us to live and visit many fun and exciting places, as well as meet and make friends with so many people. We do miss that, but we are enjoying the new adventures that life is bringing us now. Bio: I spent 11 years with American Ballet Theatre in New York City, and Nine years as a principal dancer with Boston Ballet. I married Robert Lippert in 1987, and we have three children: Robert (9 years old), Carolyn (5) and Marilla (3). I retired from the Boston Ballet in 1994, and we moved to Fresno in 1996. Trivia: I won the Bronze medal at the Jackson International Ballet Competition in Jackson, MS, in 1982. Toured with Baryshnikov and Company in 1983. Occupation: P.E. Teacher & Athletic Director at Holy Spirit School. Bio: Working and enjoying my family. Trivia: Played college football at Northern Arizona University, and played rugby for 9 years (3 international tours). Still drinking beer with Jimmy Auble. Can skip rocks better than Mike Peterson (yea baby!). Can beat Heather Peterson in anything! Friends: Chuck Boneck, Eric Eissinger, Karl Simmermacher. Hobbies: Abalonie diving, golf, travel, & family activities etc. Kids: James is a great soccer player and seems to be a good athlete. Mark, his younger brother, is big and will be over 6 feet tall, He will play tackle for Notre Dame. James will play quarterback. James is in first grade, and Mark is in pre-school. Favorite teachers: Laverne Gonzales, Dan Ash, Bob Miller, Dan Swartz and Pete Halfman. Heard about website from: My sister, Janet. Occupation: Clinical Research Coordinator (collect data for investigational pharmaceuticals for submission to the FDA) and President and owner of Clinical Research, Inc.
Bio: Went to college here and there for 3 years but didn't know who or what I wanted to be when I grew up! Married to a Rio Americano guy in 1980 for 9 years. Moved to Idaho in 1982 for 4 years, had my daughter Keliah (16). Moved to North Carolina in 1986, had my son Philip (12), fell into the clinical trails industry while there. Separated and returned to Sacto in 1989. Met the perfect guy in 1990, threw the other one back and remarried in 1993. Started a research division for a medical group in Sacto, now Sutter Medical Group. Left to start my own company in 1994 and loving every minute of it. If I ever grow up (I won't), I'll still be doing this. Happy in love, work, life, kids, finally. Trivia: I did not graduate from college and never plan to. Friends: Connie Hyrkas (deceased), Heidi Neubuerger (deceased), Shari Harris Tough (see her less now that I live here! ), Heidi Satter (haven't seen her since last reunion), Whit Poindexter (just ran into him), Jim Auble (where are you? ), Kevin Sheehan (see him now and then), Margaret Anderson, Natalie Carey (where are you? ), Kris Bjerke, Brenda Fuller, Barbara Walker (where are you?) Julie Tepsich (1975), Kaki Striplin, Carrie Schmidt (where are you? ), Rob Fahn (where are you?). Hobbies: Total couch potato now! I hate to jog and need to make time for myself. Snow ski once a year, still sew a lot, sometimes water ski and play tennis (rarely). I taxi kids everywhere and watch their sports and activities. Isn't everyone our age really busy with kid stuff? Kids: My daughter Keliah is my best buddy. We go to concerts together with her friends, shop and have fun. She was third runner up in Miss Placer County Teen summer 1999, and is a cheerleader (first and last time!). She is a 3.5 student and plans to go to Cal Poly and study engineering. My son Philip is a kind, sensitive person. He doesn't apply himself in shcool, but he's pretty smart. He is a defensive tackle on the Rocklin Junior Thunder tackle football PeeWee's. My 3 1/2 year old thinks he's 10. This one made me really done having kids (used to want one more!). Grade school friends: Kris Bjerke, Brenda Fuller, Heidi Satter, DeeAnn Moore, (friends with Heidi Neubuerger and Patty Sweigert but they went to St. Ignacious). Favorite teachers: Definitley Mr. Figenshu, Dan Barber, Ms. Skinner, Mrs Takeuchi. Hey, Where's the least favorite teacher section? Bio: Since graduation, I went to ARC and CSUS for years, ending up with French & Italian Major, German/Russian Minor around 1985. I went to Europe for a couple months in 1974, '76, '78, then for Study Abroad with CSU in Florence 1981-82. Married Simonetta of the Czech Republic in 1990. Have gone to see her family twice, and we just got around to having Christopher May 1999. Trivia: I really got into the International Language Esperanto (see http://www.esperanto-usa.org), on their national board, putting on conventions, traveling using the language, teaching it. But since I've gone back to school evenings for a career change to computer networking, and had a child, I have cut back my activities with it as of late. Friends: I've had inconsistent contact with Greg Glavinovich, class of '75. Hobbies: None...I'm married with child! Kids: Bragging about my son, Christopher at 8 months is walking with help of a push cart in front of him. He is the size and weight of a 14 month old. Bio: I left Encina half way into my sophmore year to go to Rio Americano and be with my best friend, Melanie Leatherwood (I know, TRAITOR!). After graduation I tried American River College for a bit and ended up working for my family dentist, Paul Favero. I moved to Long Beach and managed dental practices for several years until I decided to move back to Sacramento. Trivia: I was married for 12 years and have 2 wonderful boys, aged 6 and 8. I work at my home office and travel up to Redding and down to Bakersfield on a regular basis...I love my job!! My boss is 800 miles away!! Friends: In school I was friends with Beth Smaage (my first roomate), Bob Leigh, Allen Bee, DeeAnn Moore...and of course, Melanie Leatherwood. Hobbies: Between work and my children I find little time for myself, However, I play soccer twice a week...on a woman's league and a co-ed league in South Natomas. Kids: Both my boys are incredible! (all fact, no brag) Chris (8) is tall and thin and will make one incredible golfer. Brandon (6) is tall and stalky and will be one heck of a football player. Both attend elementary school in Sacramento. Grade school: Sierra Oaks, of course! Grade school friends: Beth Smaage, who I see once in a while. Through this website, I am just beginning to see where life has taken the rest. Favorite teachers: Mr. Peetz. I still have a drawing he did of me in class one day. I think at the end of my freshman year he had drawn one of each of us. I framed it years ago and have it hanging in my home. Favorite memory: My favorite memory of Encina was some silly play I did. I loved getting to know new classmates during that period. It was a blast! Bio: During college, I worked as an architectural apprentice for 5 years and gave that up for a career at Fedex, which also lasted 5 years until I found my true calling...Art Direction! I have been working in Film and Television ever since and I love it. It is a demanding, high profile job that encompasses 14+ hours 5-6 days/week but it's extremely rewarding, I am also a part-time professor at Loyola Marymount University teaching Art Direction to undergrads in their film/TV major. Trivia: I won an Emmy Award for Art Direction for the television series 'NYPD Blue' and have been nominated on 2 other occasions for Emmys. I have worked on 10+ feature films and have done over 200 hours Primetime television. In 1994 I managed and played for Team Pasadena, a woman's soccer team that we took to the International Games Competition in New York where we won the Silver Medal (Berlin got the Gold). My next goal is an Academy Award for Art Direction! Friends: Randi Helmrich, Pam Seanor, Karla Grant, Michelle Strain, Jade Splawn, Charlie Tyrone...where are you?? Doreen Sugimoto & Bob Leigh-heard from recently. Keenan Kroll is a family friend. Hobbies: Hikes with friends and the dog, movies, golf, tennis, rollerblading, art openings and museaums, really good restaurants, lots of live music and concerts, checking out all the new clubs in L.A. Kids: Sophie...5yrs...71lbs...the most beautiful Rottweiler on the planet. Grade school: Valley View in Whittier. Junior high: East Whittier in Whittier. Memorable teachers: Bebe McKenzie-she helped us start the Encinasylum. Jack Figenshu-clever and so funny. Lou Huber-tough coach. All the women coaches in P.E.-they trained us well. Story: One day in social studies with Rees Lee we found out that Mao Tse Tung had just died. He ran out of the classroom shouting "Mao Tse Tung is dead! Get back to your classes!". We were laughing so hard I don't think we accomplished another thing in class that day. Bio: CSUS 5 year plan, Studied Physical Therapy..thinking about doing a masters soon. Married for 19 years, two children. Daughter graduating this June, attending Unirversity of San Diego in the fall. Son starting Granite Bay High in the fall of 2001. While the children were growing up, I ran from lessons to sporting events non-stop. Trivia: Married my college professor!? Friends: Kaki Striplin, Kindra Billerbeck...still chat once in a while. I run into Kevin Sheehan too! Hobbies: enjoy movies, photography, especially youth sporting events. I volunteer in the schools constantly..when the kids are gone, I plan to have real hobbies. Kids: Kellie (18yr) is beautiful inside and out. She doesn't look anything like me, 5'7" very blonde, blue eyed, and all around a freat person. Derek (14yr) looks and acts like me. Blonde hair and brown eyes. He is an awesome athlete when he likes the sport. He also has his dad's sense of humor, Great guy!! Memerable teachers: Mr. Figenshu, he made biology fun, which is why I studied science in college. Bio: I spent several years working in the theatre. Then several years in a "real job." In 1982 I married, continued working until our children came along. I have chosen to stay at home with my children. I worked in the school my children attended teaching classroom music for the last 5 years. I have been directing the choir at our church for the past 12 years. Friends: My closest friends were involved in music at Encina: Jerri Fox, Sue Alexander, Paula Vanderford, Scott Brownell, Dan Sugimoto, Bill Bain, Ginger & Eve Tulley, et al! Hobbies: Still music! I also love reading, scrapbooking, geneology research, travelling and spending time with friends! Kids: Kendra is 16, and just finishing her Junior year at Del Oro in Loomis. She is a very intelligent and hardworking student. She is an excellent pianist, Yay! She is thinking toward college and has very high goals for herself. Monica is 13, and finishing her 7th grade year at Newcastle Elementary School. She loves sports, especially soccer and volleyball. She is also an intelligent young woman. They are both wonderful people inside and out! Grade_school: Wyda Way Elementary and Howe Ave.
Memorable_teachers: Jack Carey and Leslie Saladen. Mr Carey gave his students so much love. He was truly interested in his "kids." He also gave us a love for different styles of music, and the joy of working through a difficult piece until you mastered it. It was a joy to be in his class. Mrs. Saladen also gave of her time and energy to make our musicals the best they could be, and help us to do our very best. She wasn't always easy on us, but the results were worth it! Favorite_memory: Madrigals and Musicals. Musicals were the highlight of the year! I loved that three month period of time. They were the best! Madrigals was a tremendous experience. I have used the principles and methods Mr. Carey taught us with my own choir. Madrigals was something I looked forward to every morning at 7:15am! Trivia: married high school sweetheart in 1988-89? mike wolf, big mistake. Sacto, Kathy Keyes and Darlene Mitchner. and guys of course. word, and I am now an avid reader and would be writer. Favorite_memory: It was the 70's, who remembers??! !